Given its popularity, Wing Chun Kung Fu has become the subject of countless books, videos, and movies. Note that these are personal opinions, which may be different from yours or anyone else. Although Bruce Lee did not complete his training in the Wing Chun system, his superior intelligence allowed him to grasp, expand, and convey the essential meaning of the art. This book, written by Bruce Lee's student, James Yimm Lee, is (in my opinion ) a wonderful introduction into the basic concepts underlying Wing Chun's fighting approach. The footwork, kicks, and applications presented in the last section of the book will probably spur some debate among Wing Chun enthusiasts. Pictures are good and easy to understand. The authors of the book still lament the use of "Complete" in the title, especially since their original title apparently tried to avoid any broad, all-encompassing language to indicate completeness. What this book does offer is a very interesting look into the many families of Wing Chun out there, how they train, and their origins; in the end, it draws convincing conclusions as to the evolution of the art. Pictures and illustrations serve their intended purpose of giving an idea of "what is out there." While Grandmaster Yip Man's lineage remains the most common in the world, other families have in recent years gained more recognition. A contemporary of Yip Man, Yuan Kay San mastered a different version of Wing Chun, with its own flavor. This book details the history, methods, and applications of this lineage. Pictures illustrate techniques and ideas concisely and effectively. A controversial work in the Wing Chun world, this 3 volume series has its merits and drawbacks. The author attempts to explain Wing Chun in a scientific manner, and can give a reader already versed in the style a better idea as such. However, since the photographs are often unclear, and the science is scattered in and out, a beginner might get hopelessly lost. Further, while someone who has a good foundation of Wing Chun can appreciate the unorthodox approach, a beginner may lose out on some of the fundamental ideas behind the forms. The writing style is rather dry, reading more like a sociological or scientific paper. The author also presents a fusion of Wing Chun, White Crane, and Muay Thai as a "complete" style, which he calls "Sun Tzu Kuen." Named after the great General of ancient times, I thought that was a rather arrogant name? Containing varying articles from several different prominent Wing Chun practitioners, this book is actually a hodgepodge of essays ostensibly arranged under certain themes. A reader can find a lot of great gems among the articles, if he can get past the poor English editing (and frequent mistranslations from Chinese). Also, with several accounts and ideas that contradict one another, you can see that how, even within a single lineage, people's interpretation of Wing Chun can be different. Written by Yip Man's first son, this book has some helpful views of chi sao practice. The Bible of Leung Ting's own Wing Tsun organization, this book offers a great overall view of Wing Chun, as well as some wonderful self-promotion as well. Leung Ting is something of a controversial figure, with some of Yip Man's students claiming that he never studied with the Grandmaster. I don't know for sure, but no matter what, the book is well-done. Given that Leung Ting's has the largest martial arts organization in the world, he must be doing something right. Pictures are well done, and demonstration of the first two forms and their applications are quite extensive. This book also has the best presentation of chi sao that I have seen in a book. Great for a beginner. 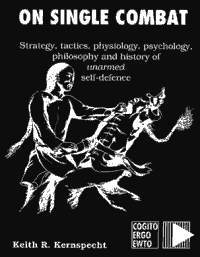 This book provides a systematic introduction to fighting drills. Given the wide range of teaching approaches, this book may or may not be helpful for your own training regimen. If your style leaves all weight on the back foot, then you may find it very useful. Otherwise, it will probably be difficult to work it into the way you practice. But then, maybe it might convince you to change your footwork. Great reference book for those who know or are learning the dummy form. Yip Man's son Yip Chun presents a story of Yip Man which differs from an earlier story he penned. Also, because some of the original pictures were lost, Yip Chun fills in the gaps; you can really tell from the pictures that there is a significant skill difference between father and son! The applications of the dummy are very direct, taken move for move, an approach which my own Sifu would disagree with. Written by Japan's authority on Wing Chun, this great book sums up the art for the beginner. Lots of drills that can help someone develop, and insights into the different branches of Wing Chun. Shows the first from in its entirety, as well as applications. Unfortunately, the book is in Japanese. Written by the second in command of Leung Ting's gigantic Wing Tsun organization, this exceptional book details the logic of the Wing (Ch)Tsun system. It examines the reasoning of simplicity and economy of motion, while meticulously describing the use of footwork, and various hand positions. It also includes mental approaches to Wing Tsun. The only negative aspect is the blatant promotion of Leung Ting's system, ignoring the fact that some things that the author claims to be unique to the Wing Tsun system are in fact common through most Wing Chun lineages. If you can cut through the politics, this is an awesome book. Peterson was a direct student of WSL and does a very good job of explaining WSL's approach to WC forms, techniques, fighting spirit and of course hand to hand combat. There is a second extended edition now available. Simple, pragmatic advice on how to use WC for combat. Also, insight into the thinking and approaches of perhaps WC's most famous fighter. Instructor of the Taiwan police forces, Sifu Lo Man Kam shot this tape for concurrent release with his upcoming book, "Martial Arts of the Police." Since the book has been held up for quite some time, the video was released last year. The system that Sifu Lo teaches to the police integrates the combat principles of Wing Chun with joint-locking and throwing skills. The video shows him executing a technique at full speed, then slow motion, then movement by movement, then at full speed again. The only problem is a lack of narration or explanation. This tape shows Steven Lee Swift using various combat techniques, chi sao possibilities, and attack chains. A great tape, if you can get past Sifu Swift's exaggerated head movements and personal sound effects. The movie recounts the legend of the founding of the Wing Chun style. However, what they are doing doesn't look a whole lot like Wing Chun, and the wire work and flying don't help. Bleah. WOW. This movie sums up Wing Chun better than any movie or book that I've seen. Recounting the story of young Leung Jan, Prodigal Son probably has the best actual Wing Chun footage captured of film. Sammo Hung's performance is wonderful. Sheltered by his well-to-do father, Leung Jan is a kung-fu enthusiast who thinks he is a great fighter. Later, he realizes that all his fights have been rigged, and he begs Leung Yi Tai to teach him Wing Chun. After a long time, Leung Yi Tai agrees, and also recruits the help of his Si-hing Wong Wah-Bo. Leung Jan in the end proves his consummate skill. It truly emphasizes the idea that Wing Chun should be tailored to the individual, and not taught in a cookie-cutter fashion. Good training sequences and incredibly choreographed fights. This story picks up where Prodigal Son leaves off. Leung Chan has already made a name for himself, becoming known as the "Kung Fu King of Wing Chun." Mirroring his own story, he takes in Money-changer Chan as his student. Leung is murdered in a nasty plot to take over the city of Foshan, and his students avenge him. Great training sequences, but too many high kicks for me. Sgt. Miller, a senior corrections officer in Oregon, is also a long-time martial artist. He explores the differences between martial arts training and real world violence, including the impact of adrenaline, the way predators and criminals approach victims, and how to adapt training methods for better realism. This book a straight dose of reality and a very sobering read. The section on the 4 basic truths of violent assault – just a few pages long – is worth the price of the book. An old curmudgeon dispenses with rings and gloves and rules and breaks down how to use boxing as a martial art. The author more or less hates kicking based arts and isn't shy about his opinions. Alert readers will note that the title is a direct reference to the classic Jack Dempsey book Championship Fighting. It makes a great case that western boxing can be used very effectively as a martial art or self-defense system, and confining it to "sport" is a misconception. Also, it emphasizes the importance of being able to generate power in a confrontation. True story of an American from Topeka, Kansas who travels to China and starts asking people "Where is the Shaolin temple? I want to train there." Hilarity ensues. 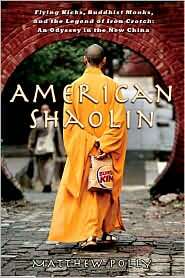 An interesting insight into China before it opened more to the West, and also a perspective on how the Shaolin "brand" has been misappropriated in the pursuit of money and cultural bragging rights. Also, some kung fu.